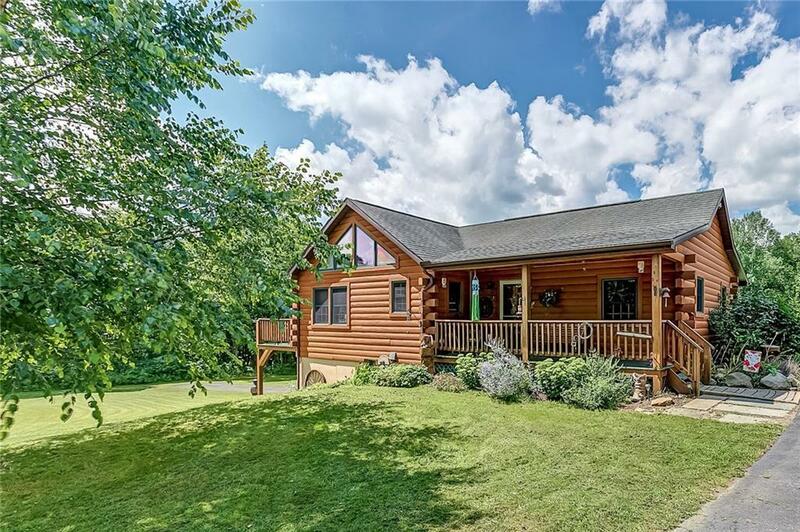 A chance to own your own piece of paradise, this picture-perfect home sits on 15.5 acres with front and back porches plus a balcony overlooking the gorgeous land. A fenced area for dogs, 2 acre horse pasture with electric fence and 10x20 loafing shed, exercise arena & a 24x36 3-stall horse barn w/ hay storage & tack room built w/ wood from your own land make this a perfect hobby farm or family home. The spacious interior is just as stunning as the land it sits on. The main floor features vaulted ceilings with skylights & huge windows throughout the living area, wood burning stove, balcony in the dining room & a dream kitchen, as well as a master bedroom with en-suite, additional ½ bath & laundry room. The lower level (walk out basement) houses 2 more bedrooms, a storage room & a full bath with separate Jacuzzi tub & shower. The home is kept comfortable year-round by forced heat & A/C. This beauty is even more impressive in person, so schedule your showing today!